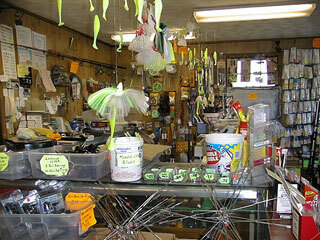 While relatively new to the tackle business, George Klein has operated Tyler's Tackle Shop since the mid-1990s. 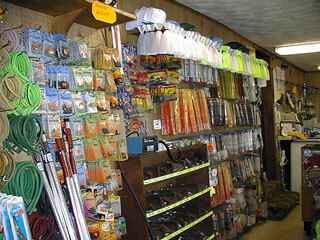 As you'll see here, we offer a full range of the latest fishing tackle. 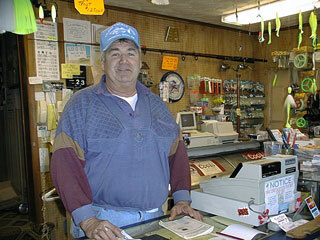 If they're catching fish anywhere in the mid-Bay area, George and his capable staff will know about it. 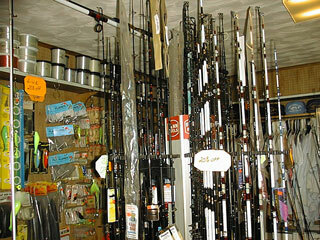 From "spot poles" to surf rods, we offer a wide variety from quality sources, such as Penn, Shimano, Shakespeare, and Daiwa. If you're going trolling for trophy rockfish, ask us to show you a rod and reel that will help you land the big one! 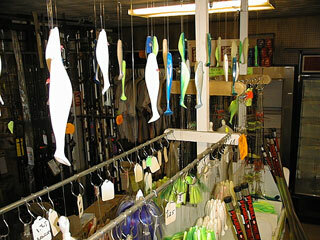 Trolling reels, spinning reels, baitcasting reels, including sizes for big fish or pan fish, we have what you need. 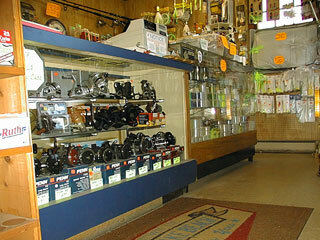 You can count on Penn, Shimano, and Daiwa reels. You'll need both white and chartreuse baits, because on any given day one will catch better. If you're after big rockfish, consider an umbrella rig. We have them in 4- or 6-arm, alone or pre-rigged with teaser shad and a trailing parachute that's been trimmed wih a 9 inch shad. There are days when umbrellas catch far better than anything else. Shad, shad, and more shad. 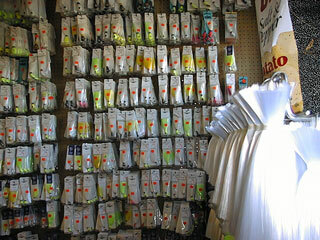 We have 6, 9 and 12 inch shad in a rainbow of colors, plain or pre-rigged as teasers. 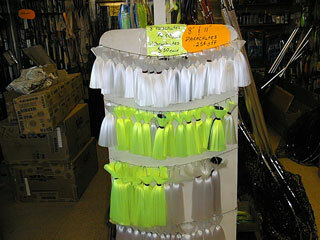 We also offer a wide variety of smaller plastics to help you catch more fish. 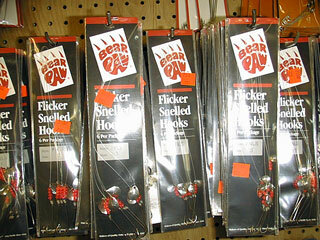 And if you're going bottom fishing, make sure you've got plenty of hooks in the right size and shape. From spot to drum, we've got what you need. Sometimes it's the little things that make the difference, like having spinners on your snelled hooks.